To add to the simplicity of this home, these cabinets were designed with West Coast doors that lay flat against the wall. 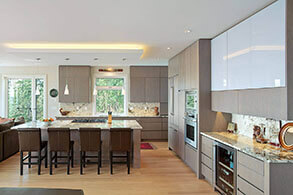 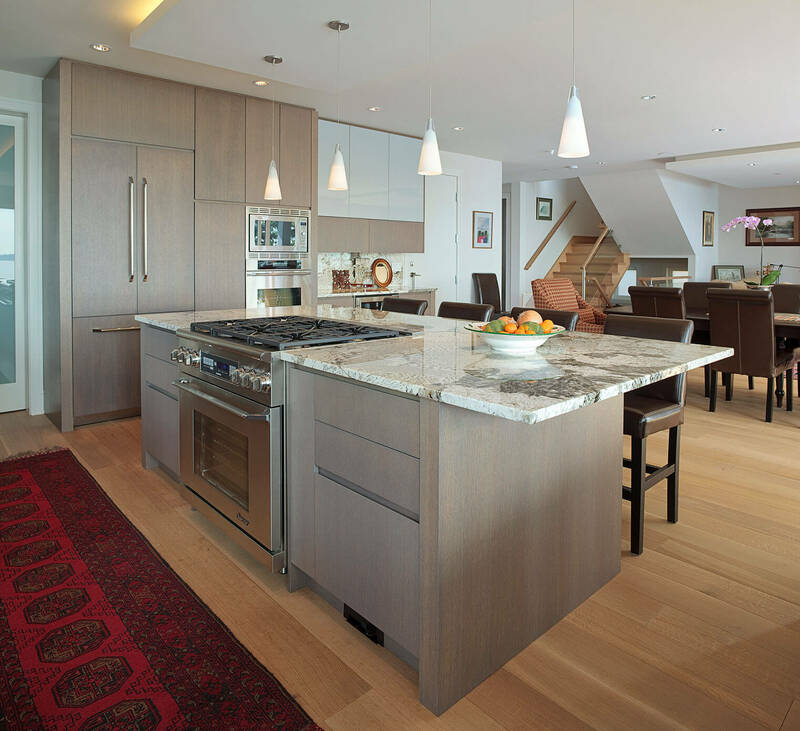 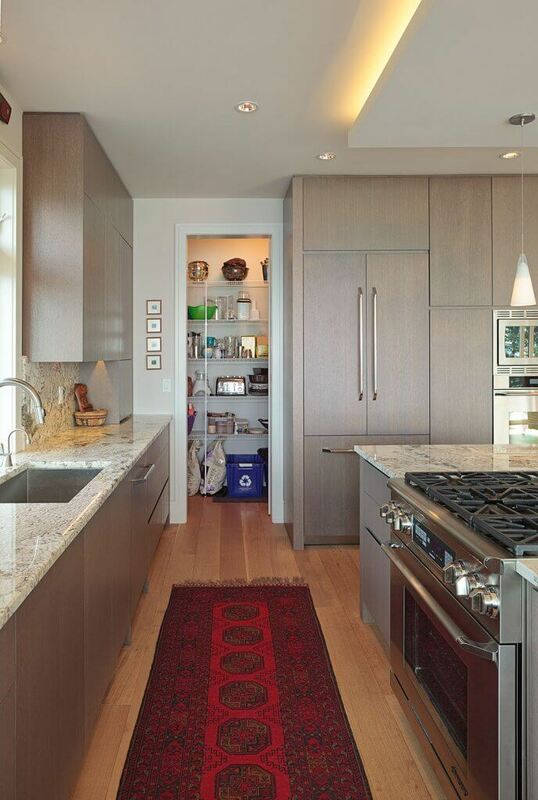 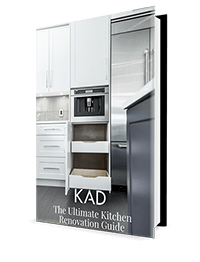 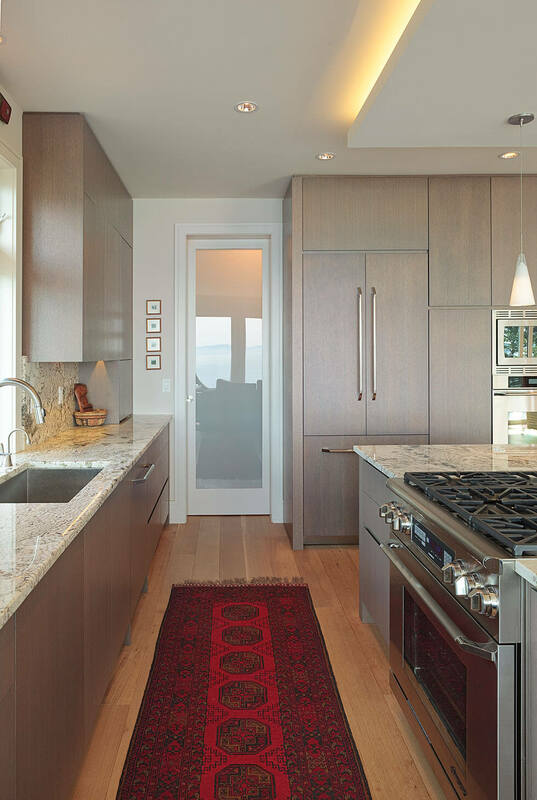 These doors gave us the option to integrate a refrigerator seamlessly into the layout. 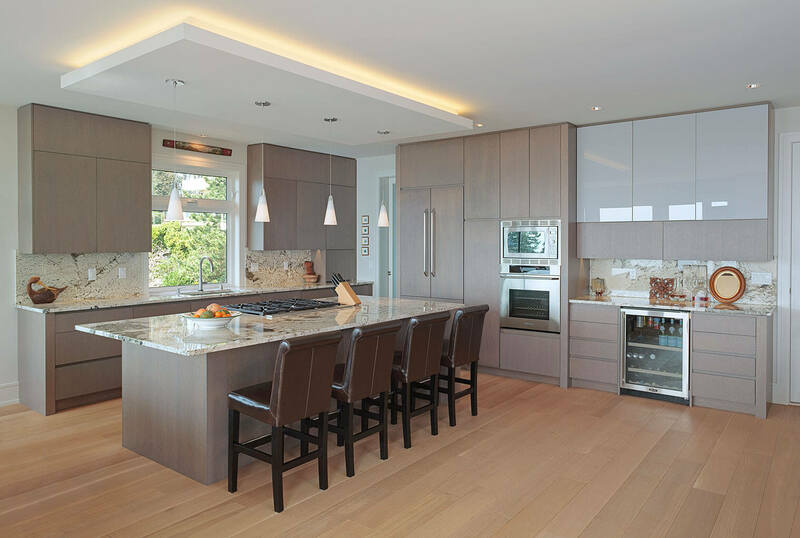 The Stonewash stain on rift cut white oak, combined with custom painted glass doors, keep the aesthetic effortless and classy. 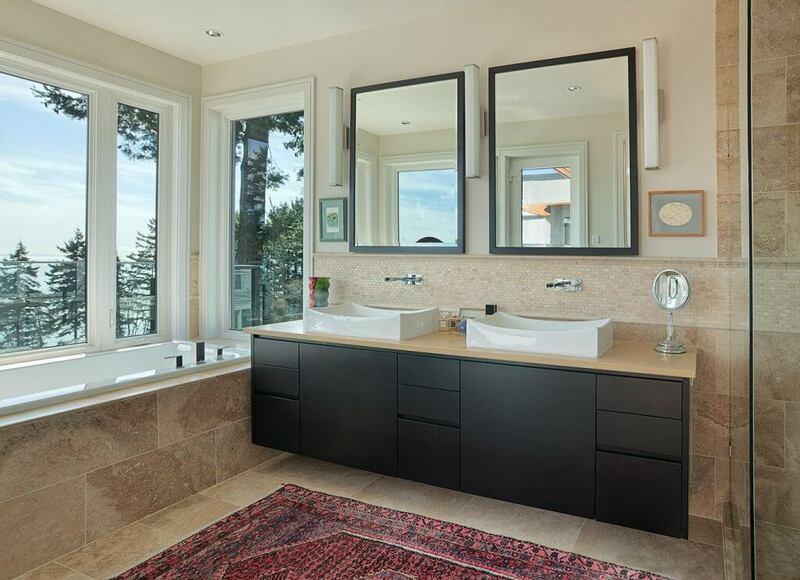 To update this open and bright bathroom, we added a floating vanity with West Coast doors. 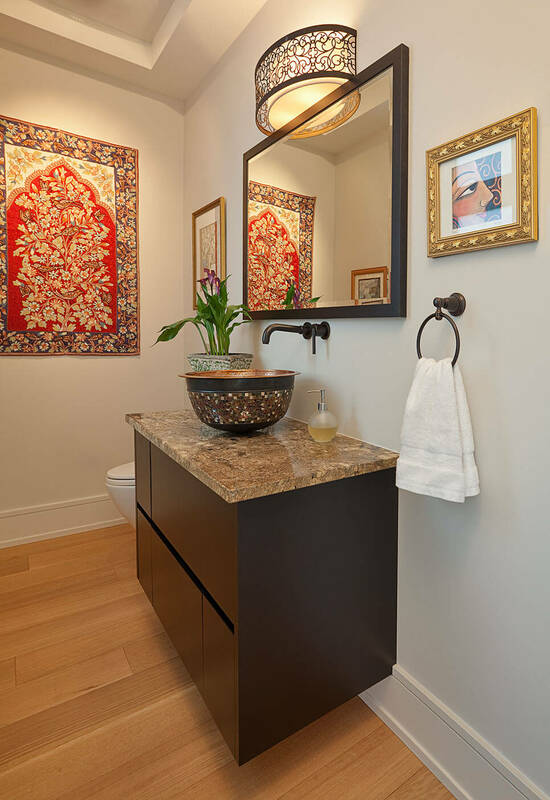 The vanity and mirror frame is stained with Special Black to help bring the room’s colours up to date and keep the aesthetic full circle.